Continuing our series of radon information blogs for UK Radon Awareness Week 2016, today we answer some of the most common questions about positive pressure systems. Q: What is a positive pressure system? A: A positive pressure system is used to reduce radon levels in buildings. 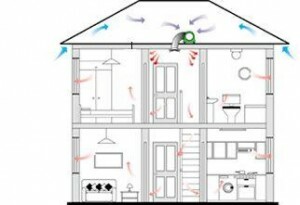 It involves a special fan being installed, either within the loft or on an external wall, to disperse air through the building. The introduction of this ‘extra’ air raises the internal air pressure slightly thus inhibiting the draw of gas from the soil which normally occurs. Q: Are positive pressure systems noisy? 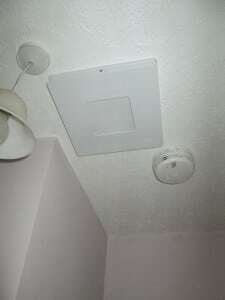 A: The fans that are used are designed to be used in residential properties and are therefore quiet when running. Q: Will a positive pressure system make my house cold? A: We will ordinarily specify a unit that incorporates a heater to prevent cold air being introduced to the property. The heater will not produce warm air that will replace a heating system, but will be set to a comfortable temperature so the property will not be cooled. Q: How effective are positive pressure systems? A: Positive pressure systems can achieve impressive reductions in radon levels when set to the appropriate fan speed. It is impossible to predict the actual reduction in indoor radon concentration, however in our experience, where they have been correctly specified, positive pressure units are very effective in reducing radon levels to an acceptable level. Q: What are the alternatives to positive pressure systems? A: When very high radon levels are present or when the layout of the property means the air from the positive pressure unit would not be dispersed throughout the building, an alternative radon mitigation system may be required, such as a radon sump. In some instances a combined approach works best whereby both a radon sump and a positive pressure unit are installed.